What’s Your Power User Category? 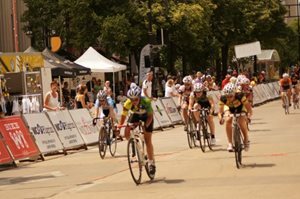 Racing categories for competitive cyclists are a big thing. This system of ranking gives the athlete something to strive for, as well as a type of metaphorical badge to wear that indicates their cycling prowess. Racing categories are something the competitive cyclist just gets. On the other hand, understanding power isn’t always as intrinsic for many racers. In order to help cyclists who use power meters learn how to advance themselves as power users, a system of categorizing different power analyses and skills can be employed. The categorizing of these skills allows for them to be presented in a manner that allows for a systematic method of learning them. Similar to how USA Cycling ranks cyclists, the power user category system described here starts at a novice level of “category 5” and moves all the way up to an expert level of “pro”. Similar to the rankings used for cyclists, some power users advance through the categories quickly, while some will remain static for years. Also, like cycling categories, the skills you learn in the lower categories help you as you advance to higher categories. Unlike cycling rankings though, where genetic factors play a big role in defining your maximum potential, what category a power user reaches is defined mostly by effort and understanding. It is possible for just about all power users to become a “pro” given enough time and effort put into achieving that goal. It could be thought that one way of circumventing having to learn about power, but still utilize it, is to hire a coach. This could not be farther from the truth. A coach is not someone to cluelessly dump your data onto. A coach will need you to be a knowledgeable power user in order to best help you achieve your goals. A good coach will teach their athletes how to become highly categorized users of power quickly and effectively. A good athlete will see the usefulness of achieving that goal and strive for it. Cyclists who use power, whether they are coached or not, should strive to become at least a Category 1 power user. So what level are you currently at in terms of training with power? When cyclists start using power the first thing most of them do is correlate the real time power data they see on their cycling computer, with other real time data they are more familiar with (e.g. heart rate, speed, rate of perceived exertion). They will also compare this real time data with other people they are riding with, e.g., “How many watts are you doing right now? How about now?” Cyclists who use power meters only for the real time data they see on their cycling computer are Cat 5 users. These users often talk about power in terms of individual data points they saw during a climb or effort. This is different and less relevant than discussing power data in terms of what were averaged/normalized during a particular climb or effort. Ideally, cyclists who are new to training with power are also familiarizing themselves with how to calibrate their power meters. This is because it is important your power data are accurate no matter what category of user you are. As a cyclist becomes more familiar with the real time data they see during their rides, they will hopefully also be familiarizing themselves more with the data-analyzing abilities of their cycling computer. Cyclists who use their cycling computer to analyze power data during their rides are Cat 4 power users. These riders will use their cycling computer to look at data such as average/normalized power and kilojoules for the intervals done during the ride (especially for tests and prescribed workouts) as well as the entire ride. Using these data analysis features during a workout helps the athlete to train in their zones and gauge their efforts, real time. Cat 4 users will also often use their cycling computers to look at “best of” data for intervals of preset lengths. An upgrade from a Cat 4 user to a Cat 3 user requires the user to upload and analyze their ride data with some sort of data analyzing software. TrainingPeaks.com or TrainingPeaks WKO+ desktop software would be an example of such software. These users will look at the graphs, data reports, training stress scores (TSS), and maps (if the rider was using GPS) produced from the ride they did. When performance tests and race data are uploaded, these users are determining functional threshold power (FTP) and training zones. Cat 3 users also possess the ability to troubleshoot issues that are inherent to uploading data. It can be argued that the step of uploading data to analyze a single ride is becoming less important as technology for cycling computers develop more and their analysis abilities increase (e.g. you can already figure out FTP without uploading data). But, it can also be argued that data analysis on a real computer will always be superior, beginning with the fact that you can analyze trends over time – that’s where the truly valuable information is. That’s why, in order to advance to the next power category one’s data must be uploaded and compiled consistently. When ride data is compiled over time it paints a bigger picture of the rider’s capabilities. 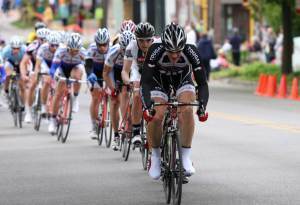 This helps to direct training, confirm FTP numbers, and determine strengths and weaknesses as well as racing strategies (i.e., pacing). Category 2 power users analyze compiled ride and race data. More specifically, they utilize analyses such as power profiling, peak power curves, and, compare individual workouts (all of which can be found within TrainingPeaks.com or WKO+). Category 2 users have made the first step to understanding the bigger picture of analyzing power data. As a cyclist gets better at uploading their data and analyzing it, they should be striving for training log perfection. This means EVERY workout is logged and includes, at a minimum, four things: duration of activity, distance traveled (which incidentally, if you are on a trainer or rollers is zero – a spinning wheel does not mean you went anywhere), subjective comments, and an accurate TSS. If a cyclist can do this they are ready to achieve their Cat 1 power user upgrade. Cat 1 power users understand how to consistently collect accurate training stress scores, and how to use the TrainingPeaks Performance Management Chart (PMC) to manage their fitness over the course of their training macrocycle. Accurately recording a TSS for every workout is crucial to having PMC work properly. So, besides consistency in logging, an element of data consciousness and troubleshooting has to be implemented. Users have to realize when data is bad and how to fix it (you can use TrainingPeaks Data Editing to do this). If power data is not available for a workout, heart rate data may have to be used, or an estimation of TSS may have to be made. FTP also has to be adjusted on a regular basis to reflect the fitness of the rider and make sure their TSS is calculated correctly. Once a cyclist has maintained a good base of power data (pun intended) for about 6 weeks, they will get their first accurate data point on the PMC. From this point on, a power user can model and track their fitness. Cat 1 power users are familiar with the terms and concepts of chronic training load, acute training load, and training stress balance. Once a power user has reached a Cat 1 ranking it is safe to say that they have a good understanding of power and how to utilize its data, but to truly master power, as with anything, you must be able to teach it. Pro level power users understand power enough to teach users of lower categories. These are coaches, and individuals, who are often times certified as power based trainers. Pro level users oftentimes do research with power and devise their own methods of analyzing power. Pro level users understand the formula for power and how it relates to the biomechanics of cycling as well has how power relates to a cyclist’s physiology. It is realistic to say that not every power user will become a “pro”, but there is hope is that in defining categories of power users, cyclists will strive to become better at utilizing their power data. After all, in the end this will only benefit the rider. Lastly, it is important that categorizing power users does not become a source of frustration. Similar to how a Cat 5 racer beats every recreational rider not racing, the Cat 5 power user beats every rider not training with power. So stick with it, and good luck with that upgrade.